To celebrate the release of Steam for the Mac. 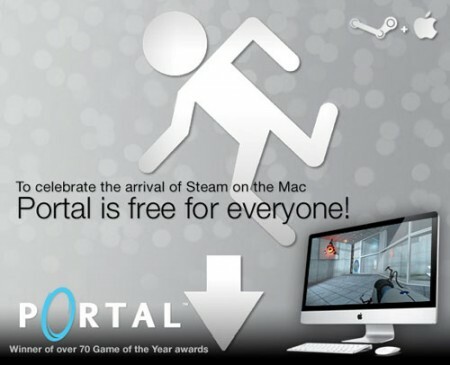 Valve has announced that their award winning game, Portal will be free for a limited time (until May 24th 2010). You can download Steam from here.